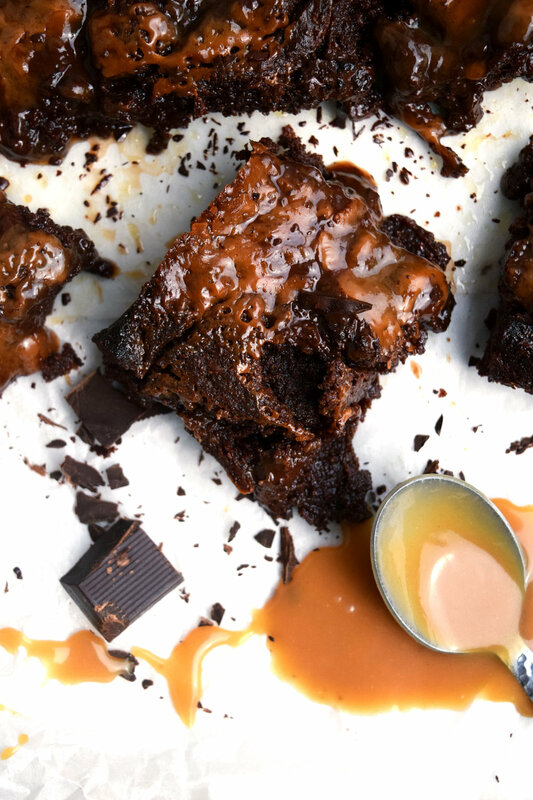 I don't really feel like I need to say much about these brownies other than they are just totally naughty and totally delicious! I'm not going to lie, they are majorly calorific and if you are trying to be healthy then don't even look at this recipe! These are one of the recipes that I will only ever make if I have visitors coming over because to bake a batch and have them in the house with just myself and Mr Whisk would be lethal because then we would need to eat them all. I have tried a number of more complicated brownie recipes but this simple recipe, for me, makes the gooiest most perfect brownies. The original recipe was given to me by Little Whisk's Godmother, in a wonderful book of recipes that my girlfriends made for me for my hen party, but as with most recipes that I encounter, I have adapted it a bit along the way. I feel that the blog has taken a bit of an unhealthy turn of late which I am not necessarily happy about but this recipe is too good not to share! Its ok though, I'm planning more healthy recipes over the next few weeks! Firstly make the salted caramel by combining the sugar, cream, and butter in a pan over a low heat. Stir constantly until the sugar has dissolved and then allow to bubble for approximately 10 minutes until the caramel starts to darken and thicken. Remove from the heat and add the salt to your taste. Remove to a jug or bowl and allow to cool. Once cool refrigerate for 2 - 3 hours. Preheat over to 170 degrees centigrade and prepare a baking tray for your brownies. I use a deep 10x10cm square tin that I grease and line with baking paper. Melt the butter and chocolate in a glass bowl, either in the microwave or over a pan of boiling water, until smooth. Add sugar and mix well with a spatula to combine, add the flour and mix, add the eggs one at a time mixing well in between. Bake in the center of the oven for about 20 minutes until a crust has formed on the top of the chocolate but they are still a bit soft in the middle. * I find the I don't end up using all of the salted caramel as it is too sweet, I usually only use about 3/4. Alter the amount depending on your taste.